Las Palmas de Gran Canaria's not your average city. How many cities do you know with volcanic features? Travel to the outskirts of Gran Canaria's capital to explore one of the island's beautiful freaks of nature, the Caldera de Bandama. 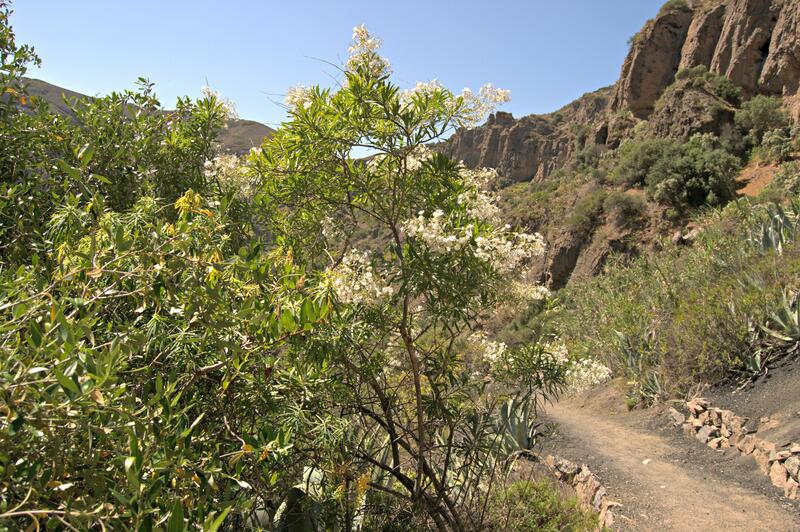 Driving by car from Las Palmas de Gran Canaria to the Caldera de Bandama along either the GC-4 or GC-110 will take you just under 20 minutes. Add on around 10 minutes to your journey if you catch Global's 311 instead. The hike to the bottom of the caldera will take a reasonably-fit person no more than half an hour of their time, although the return trek will be at least 15 minutes more, given that it's a steep climb more suited to mountain goats than humans. 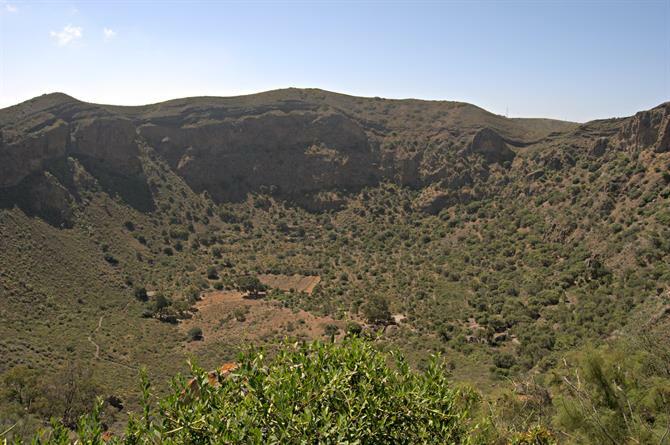 Rising 569 metres at its highest point, the Pico de Bandama, the 1km-wide Caldera bottoms out to a depth of 229 metres. To reach its base, follow the Camino Fondo de Caldera signpost rather than the Camino Borde de Caldera one. This pathway winds its way down the north-west slopes of the crater for a total of 1,264 metres. The rapid descent at times can see you moving faster than you're probably comfortable with. Keep calm and don't panic, however. Unless you find yourself travelling quicker than the lizards you'll see scurrying away from you as you make a far-from-silent approach. Be prepared. Some parts of the path are made up of volcanic gravel which can lead to a whole lot of slipping and sliding. So wear hiking boots rather than flip flops if you don't want to risk injury. Other sensible precautions are a liberal application of sun cream, wearing of a hat, and taking a water bottle with you. You know you've hit rock bottom when you see a wooden Fin Camino de Fondo post. 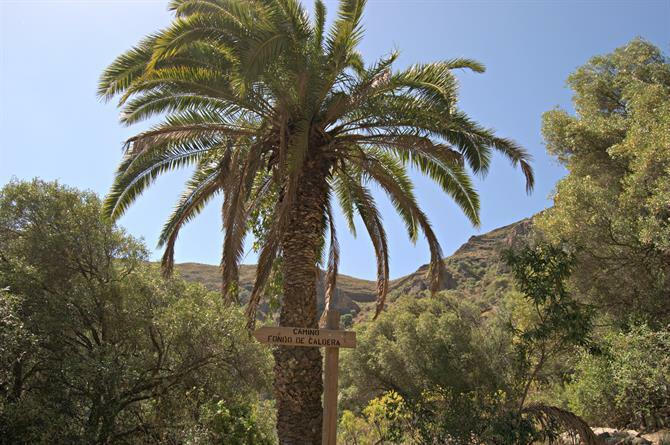 It's in front of an old threshing circle which suggests the caldera has an agricultural past. As does the abandoned farm building facing the circle. The Caldera de Bandama's around 2,000 years old, formed when a fissure emerged on the hill between Los Hoyos valley and the Barranco de las Goletas ravine, spewing out ash and volcanic slag in the process. It owes its name to a 16th-century Flemish merchant Daniel van Damme who settled here.. 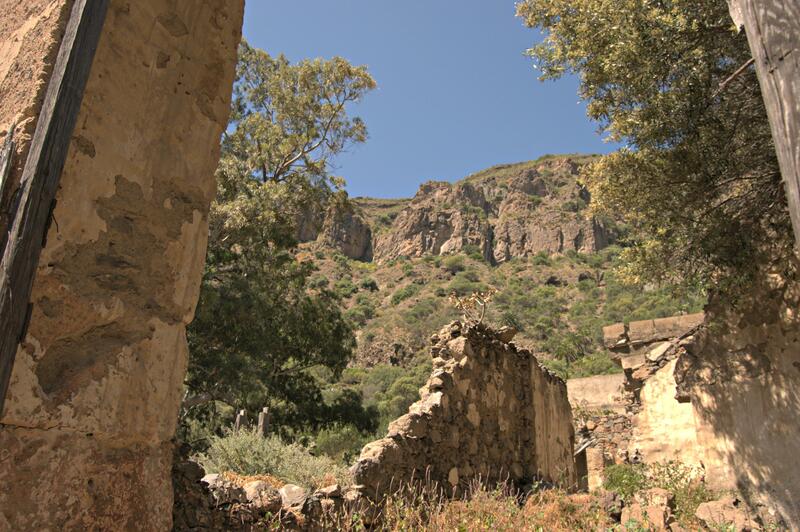 He planted vineyards in order to produce wine and the Bandama hamlet above survives as one of the most important winemaking areas on the island.